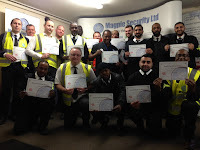 In order to ensure that Magpie Security Ltd Employees are equipped with the right kind of skills, knowledge and abilities to perform their assigned tasks, training and development plays its crucial role towards the growth and success of our business. By choosing the right type of training, we ensure that our Employees possess the right skills and knowledge for our business. 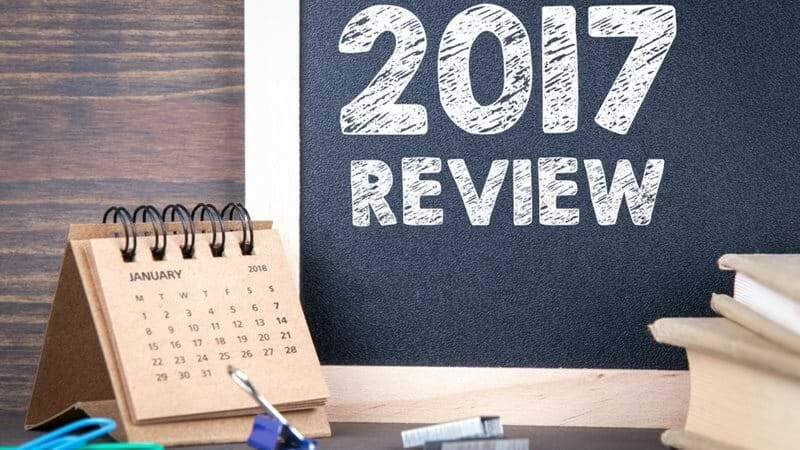 Good training must provide opportunities to learn and grow. A comprehensive training and development program helps to enhance the knowledge, skills and attitudes necessary to achieve organisational goals and also to create competitive advantage. In order to help you achieve your goals our Managing Director Mr. Richard Bailey, has established the following people philosophy and expects everyone to help make it happen. 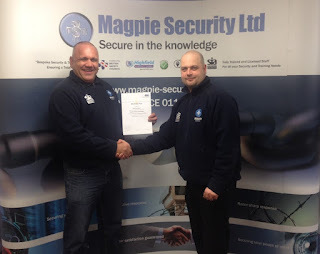 "Whatever role you play at Magpie Security Ltd our commitment is to give you the opportunity to develop as an individual for the benefit of the team as a whole"
On Tuesday 16th January 2018, Magpie Security Ltd Managing Director Mr. Richard Bailey & Company Director Mr. Jason Bailey presented Peter Scott with the Employee of the Year 2017 Award. Peter started his career with Magpie in May 2013 and has always been regarded in high esteem by his Colleagues, Clients and the Magpie Management Team. Peter’s placement at the Greenwood Dale School has seen him become a very popular member of the Nottingham Academy Team and the overwhelming feedback received from clients and parents by the Magpie Management Team clearly highlighted Peter’s outstanding achievement for 2017… making him the coveted Winner of our Employee of the Year. Kayleigh Gemma Gibbins Credit to your company the kids flock to him everyday on school run absolute top man! Well done Peter!! Professional Security Magazine is pleased to bring you Security TWENTY 18 Midlands Conference and Exhibition. The Conference is aimed at end users, purchasers and those who specify security products and will update attendees on the latest developments in the security sector. 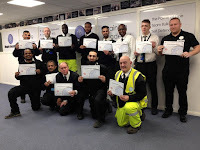 Whether you are in corporate security, local government CCTV or retail loss prevention we aim to get key people into the room and share knowledge. 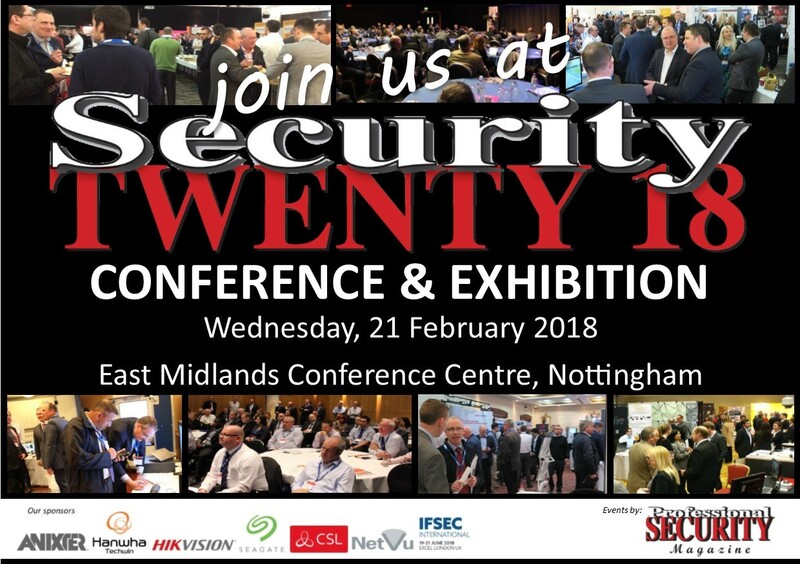 Set in the central location of the East Midlands Conference Centre & Orchard Hotel in Nottingham on Wednesday, 21 February 2018, the Conference will bring together top security industry speakers and is supported by a large exhibition of cutting edge security products and services. Doors open at 8.30 am allowing access to the exhibition with the conference running between 10.00 am and 1.30 pm. The exhibition will close at 4.00 pm. Police investigations are still ongoing a week after a suspected arson attack caused millions of pounds worth of damage to Nottingham train station. British Transport Police were present at the station this morning appealing to commuters for any information that they may have. In what looked like a new advancement in the investigation, officers were seen to cordon off an area around Hopkinson vintage, antiques and art centre on Station Street at 11:30 am. British Transport Police at the scene confirmed that the development was “part of the ongoing investigation into the fire at Nottingham train station”, but could not provide any further details at the time. 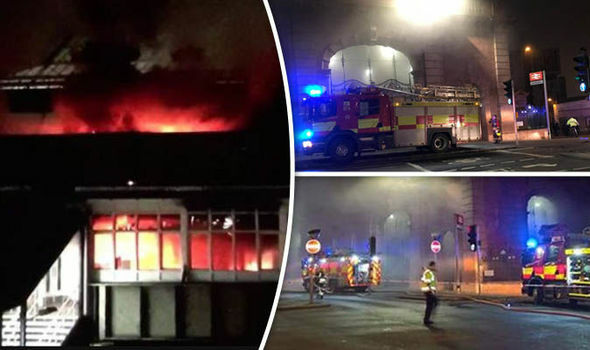 Following the advancement, the British Transport Police were contacted and a media spokesperson said: “The British Transport Police are at Nottingham train station to appeal for any information on the fire last week. Did you see or hear anything that may be valuable to our investigation? 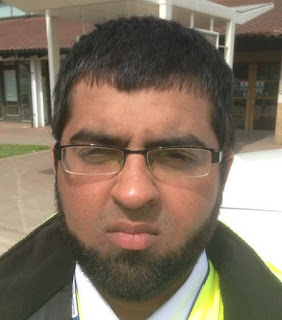 Magpie Security Ltd would like to congratulate Mohammed on his Employee of the Month Award. 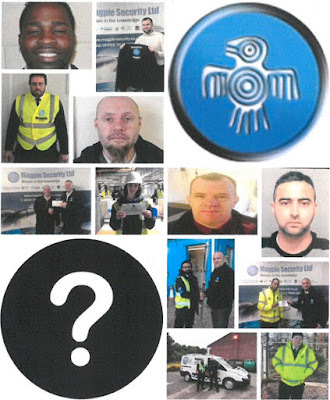 Over the last 12 months, the following Magpie Security Ltd Employees have been Crowned Employee of the Month: Ian Kirkland, Edwin Watts, Raja Shaheen, Peter Scott, Leonie Moore, Harry Wright, Andre Corbette, Mark Goyder, Tony Foden, Sam King, Umar Iqbal and Michael Cross… but who will WIN the coveted prize for 2017? On Sunday 17th December 2017, Magpie Security Ltd supported Harley Jae’s Present Dash to the Queens Medical Centre in Nottingham. 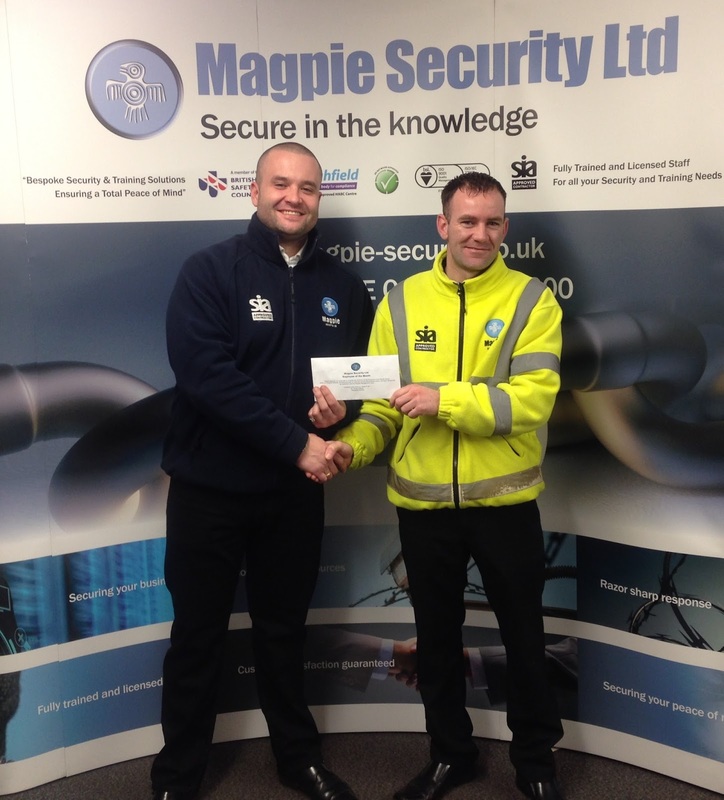 Magpie Security Ltd Company Director Mr. Jason Bailey is a Trustee for The Harley Jae Trust which is a Nottingham charity that helps children with life limiting conditions and their families, both in the community and in hospital settings. 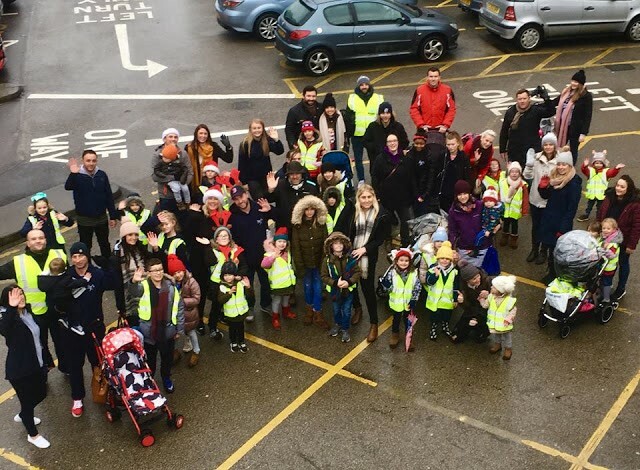 The sponsored walk started from Nottingham City Centre to the Queens Medical Centre, where donated presents were taken to children in the care unit. 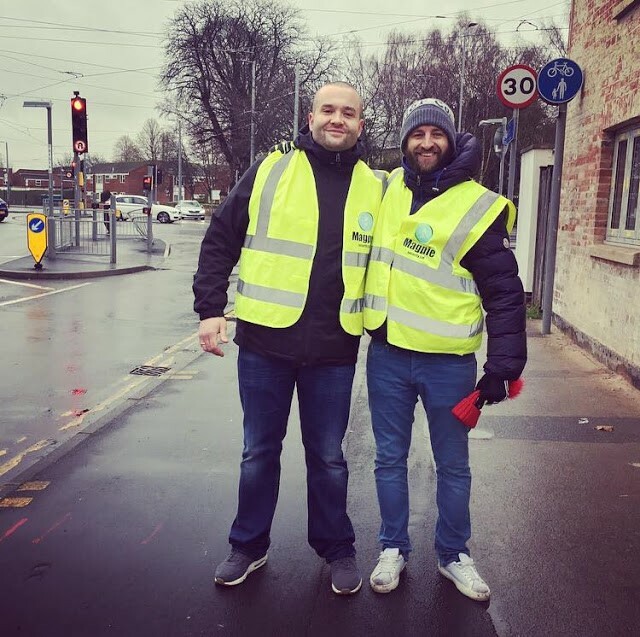 Magpie Security Ltd's Sam Futer assisted Company Director Jason Bailey by providing security for the sponsored walk, ensuring all participants were safe and secure. Extra cash will increase intelligence and surveillance capabilities and pay for armed officers to patrol city centres. 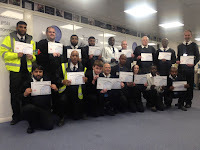 Home Secretary Amber Rudd said: “This represents our commitment to backing the talented and brave counter-terrorism forces with the resources they need to keep people safe. Police forces are to receive a £50m funding boost to help the fight against terrorism. The extra cash will increase intelligence and surveillance capabilities and pay for armed officers to patrol city centres. 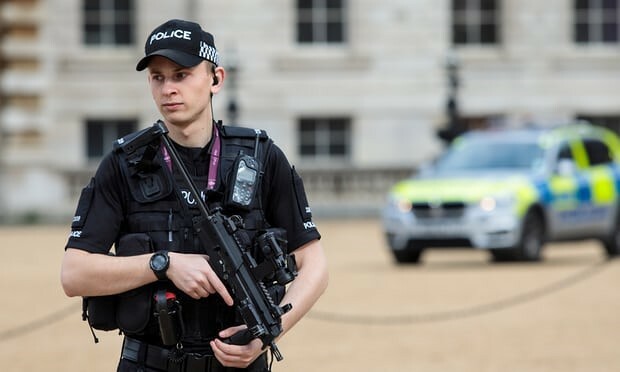 The home secretary, Amber Rudd, secured the rise in next year’s police counter-terrorism budget to at least £757m after convincing the chancellor, Philip Hammond, more money was needed to protect the public. 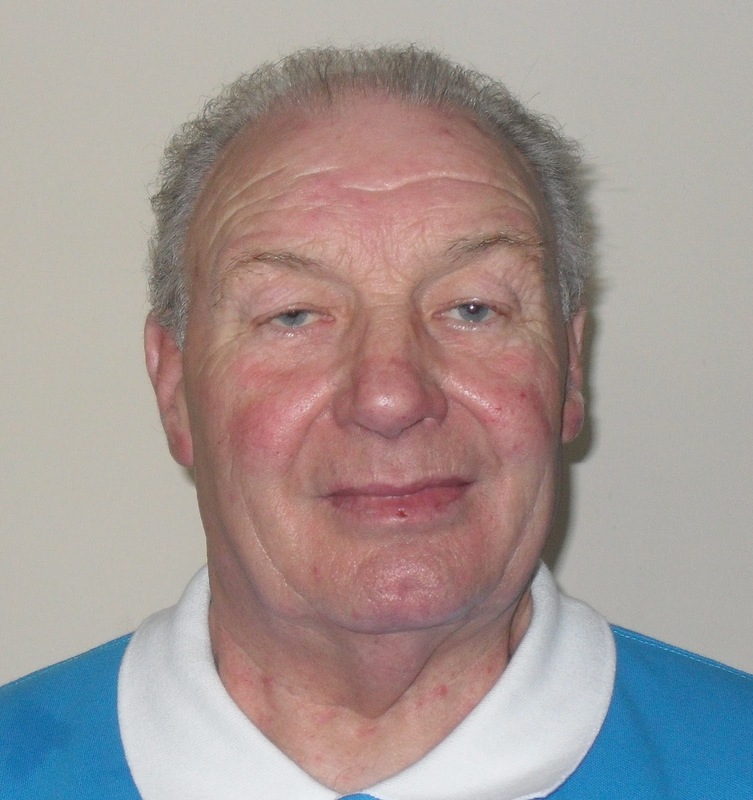 On Tuesday 19th December 2017, Magpie Security Ltd Employee Terry McCree sadly passed away in hospital. 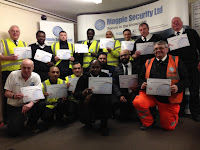 Terry had worked for Magpie Security Ltd for over 8 years and always left a positive impression on his colleagues and the Magpie Management Team. Always smiling and eager to help was a trait that fondly described Terry’s persona. 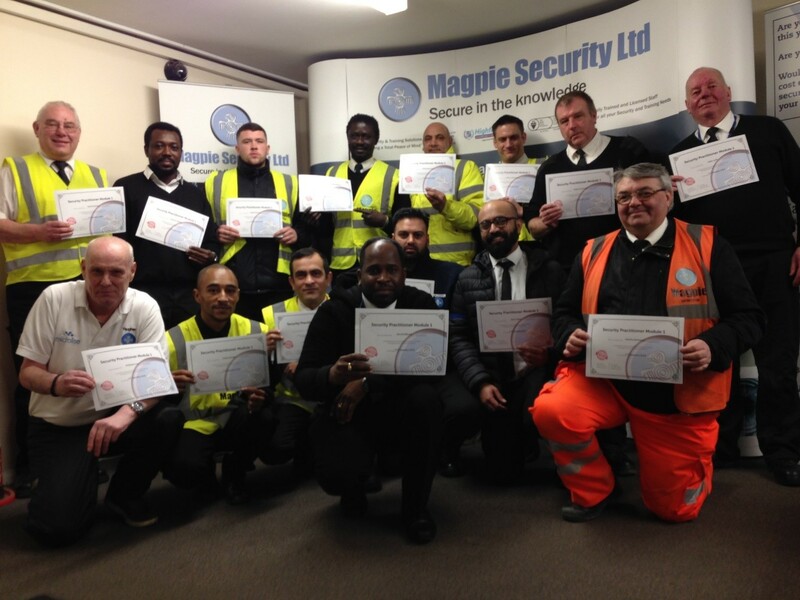 "Magpie Security have provided all of our security for over 10 years, their guards easily adapt to each situation they are faced with - from site security to ensuring the safety of our students - and deal them swiftly and professionally. 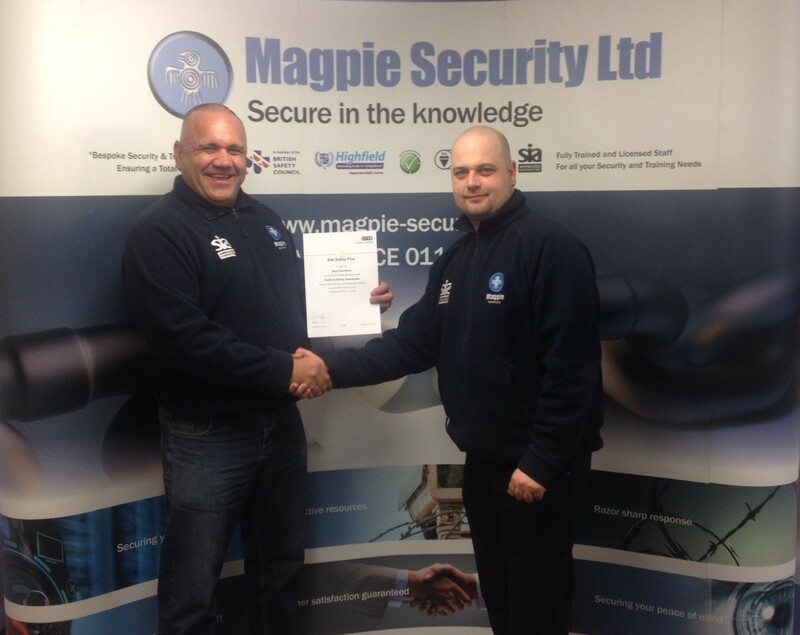 We would not hesitate to recommend Magpie Security to anyone." Magpie Security Ltd would like to congratulate Anthony on his Employee of the Month Award. 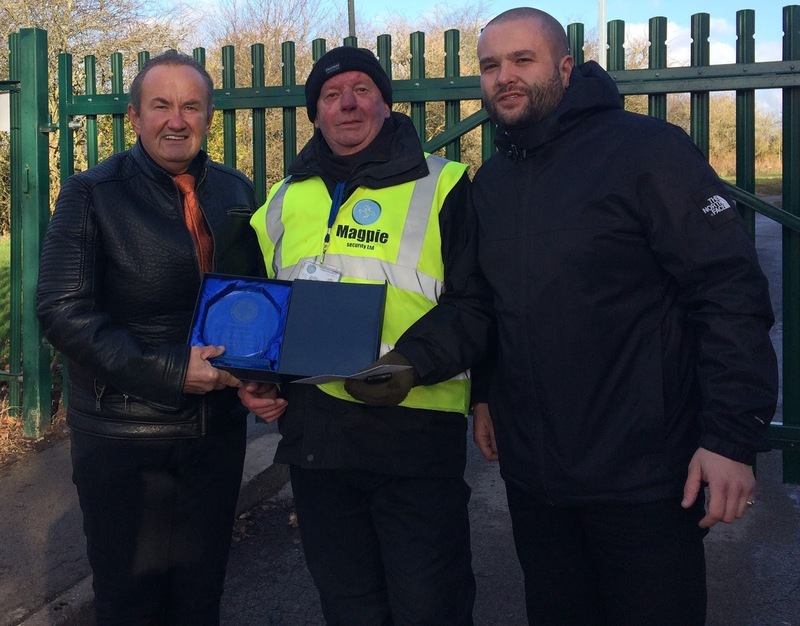 Anthony’s positive attitude, exceptional levels of customer service and professionalism has been recognised by customers and the Magpie Management Team.